Dental Care Cheyenne: Is Flossing Really Important? We all know the basics of dental care — brush twice a day, floss daily, don’t eat or drink overly sugary products, and get regular cleanings. While not everyone listens to these simple rules to a healthy smile, they really can make a big difference. You may have been one of the thousands of people who celebrated when a report came out a few years ago that said there was no real evidence that flossing made an impact on your dental health. While the evidence may not be strong, dentists everywhere agree that there is still reason to floss. 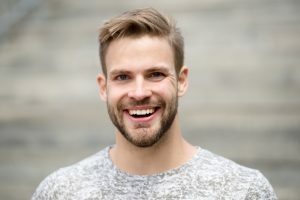 While the research on the connection between flossing and cavities may not be clear, there is some strong evidence that flossing can help prevent gum disease. While we may seem a bit biased, our dental experts at Brookside Dental Care in Cheyenne believe that flossing is still an important part of keeping your teeth and gums healthy. In this blog, we are going to talk about why flossing is still an important part of your dental hygiene routine. Read on to learn more and schedule an appointment for your regular teeth cleaning. What Does Flossing Actually Do? When you floss, you are removing the bits of food and plaque that get stuck between your teeth, which a toothbrush cannot always reach. An article from Colgate, mentions that there are over 1,000 kinds of bacteria in dental plaque. When you don’t floss, the plaque between your teeth is left there and can create more serious dental problems. If you notice that your gums bleed when you brush your teeth, flossing is necessary. Bleeding gums may be a sign of gingivitis, which are the early stages of gum disease. If your gums do not bleed, flossing may not be as important daily, but it still should be done from time to time to help remove extra plaque. A WebMD article states that half of all Americans have gum disease. Gum disease, if left untreated, can cause receding gums and tooth loss. But that’s not all. Gum disease has also been linked to heart disease, diabetes, rheumatoid arthritis, premature birth, and other health conditions. So, if flossing helps to remove the plaque that causes gum disease, then we can all agree that there is some importance to flossing. While flossing alone will not help you fight all of these diseases, it can be an extra step you take in preventing yourself from more serious health issues. While flossing your teeth can help prevent gum disease, it is good for a few other things as well. We have all experienced this before — you are eating a meal, enjoy the delicious tastes in great company, when a piece of food gets lodged between two teeth. No amount of picking with your tongue or swishing water around can dislodge it, and it would be very rude to stick your finger in your mouth at this point. You could run to the bathroom and try picking it out, but your fingers can’t always get into the smallest spaces. This is when dental floss comes in handy. You can simply use a piece of floss to dislodge the piece of food, experiencing relief and improving your dental hygiene by not leaving food particles between your teeth for too long. Might as well floss the rest of your mouth while you are at it! Removing these food particles does not only help with your comfort and dental health, but it can also help prevent stinky breath! When food debris gets stuck between your teeth and you leave it there, it may end up giving you bad breath, and nobody wants that. While flossing may not be as important as some dentists and your parents have always made it seem, it still does offer a variety of benefits that make it all worth it. Even flossing once every few days is better than not at all! Flossing is still an important part of good dental hygiene and it should still be incorporated into your routine, especially if your gums bleed. Hopefully, we encouraged you to not throw the floss away quite yet, or buy some more if you have previously emptied your home of floss. At Brookside Dental Care in Cheyenne, we believe that flossing is still important. Schedule an appointment for a regular cleaning and contact us with any questions you may have.